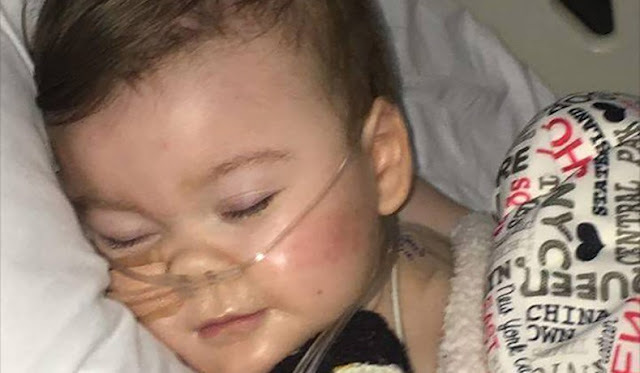 Catholic News World : #BreakingNews Alfie Evans Father speaks out against Treatment by Hospital “The world needs to know what happened in those five days..."
#BreakingNews Alfie Evans Father speaks out against Treatment by Hospital “The world needs to know what happened in those five days..."
Tom Evans, the father of Alfie Evans explained in a recent Facebook post that his son was not treated properly by Alder Hey Children’s Hospital. The family spoke out publicly for the first time since his son died after a children’s hospital removed his life support without his parents permission. “It’s been 1 month and 2 weeks since our gladiator was taken away from us,” Tom Evans wrote, adding that Alfie was “deprived, neglected, mistreated, and disrespected.” He said he and Kate “will never come to terms with it and will never accept Alfie’s death or cause of death.” “There is one thing that keeps us going and that’s our belief and faith that we will meet our angel again in the future, so we cherish the times we have had with him and look forward to the future to making more memories with him,” Evans said. PLEASE DO NOT FORGET I FOUGHT AGAINST DRS AND ALDER HEY BOSSES FOR WHAT WE BELIEVED IN AND FOR OUR SONS RIGHTS. I WOULD LIKE TO REMIND THE WORLD THOSE DRS TOLD ME AND KATE AND ALL YHE COURTS ALFIE WOULDN’T LAST LONGER THAN FIVE MINUTES!!!!! HE SURVIVED FOR A FURTHER FIVE DAYS AND FOUGHT HARD HE SHOULD OF BEEN GIVING RESPECT,CARE,DECENCY! Instead they paid £143k on murdering my son and taking our lives away from us!!!! we are angry,upset,distraught,and truly heartbroken Alfie ment the world to us he’s been apart of our lives for 2 years and through the good and bad we have cherished him through every moment and always felt blessed to have him apart of us. We thank everyone for your amazing courageous support it’s helped us in the deepest struggles and in the hardest days but you along with Alfie have helped us get through it and we thank you all sincerely.